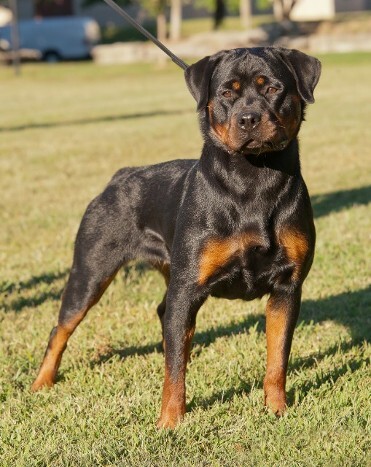 If you looked in the Rottweiler dictionary for female Rottweiler you would see the name Busa vom hause Harless, a beautiful example of the Rottweiler breed. 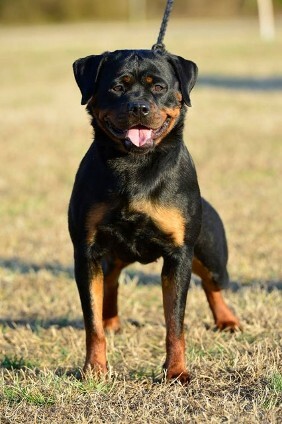 Busa is our new Rottweiler female for our kennel. We purchased Busa from the "vom hause Harless" kennel in North Carolina. Busa's mother Ch. 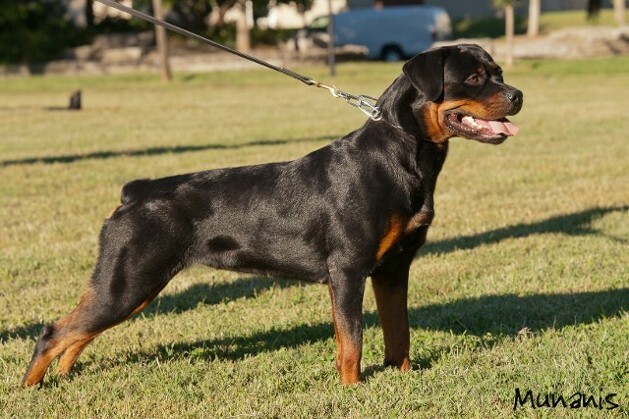 Bonita vom Wilden Westen (AUSLANDJUGENDSIEGERIN 2011) was imported and bred by sire Ch. Tito Earl Antonius (2013 USRC Sieger + V1, ADRK Klubsieger V1, AUSLANDJUGENDSIEGER, Anw. Dt. CH(VDH). 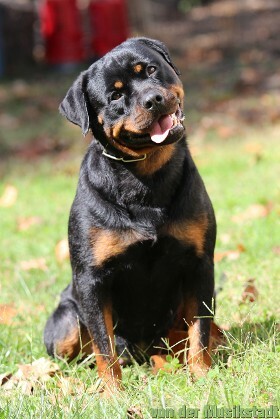 Bonita whelped 10 beautiful Rottweiler puppies on June 29, 2012. Our female is a clone of her mother, Bonita, and one of the nicest females imported into the United States. Busa is only 17 months old and has not even come close to reaching her maturity. Busa recieved her VP1 (excellent) rating as a puppy, V2 (excellent 2nd place) as a youth in her German show career. 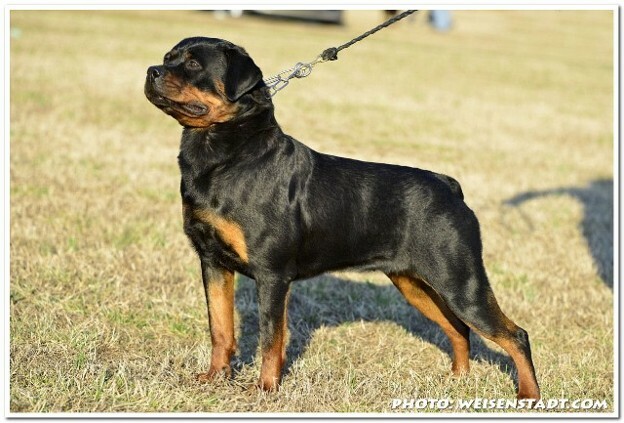 We decided to show her in AKC, UKC, and IABCA conformation shows in 2014. VDH, SCGJ, SCG, BIH, IFR WORLD CH., YOUNG IFR CH. ADRK KS'11 ADRK KS'10 DT. VDH CH. DT. VDH CH. ADRK KLUBSIEGER CH.